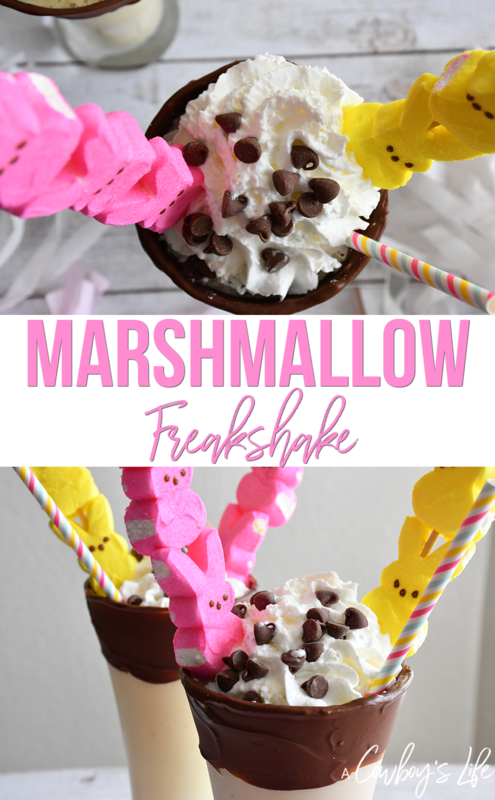 This over the top PEEPS® Marshmallow Freakshake is made with ice cream, coffee creamer, whipped cream, PEEPS®, and chocolate chips. 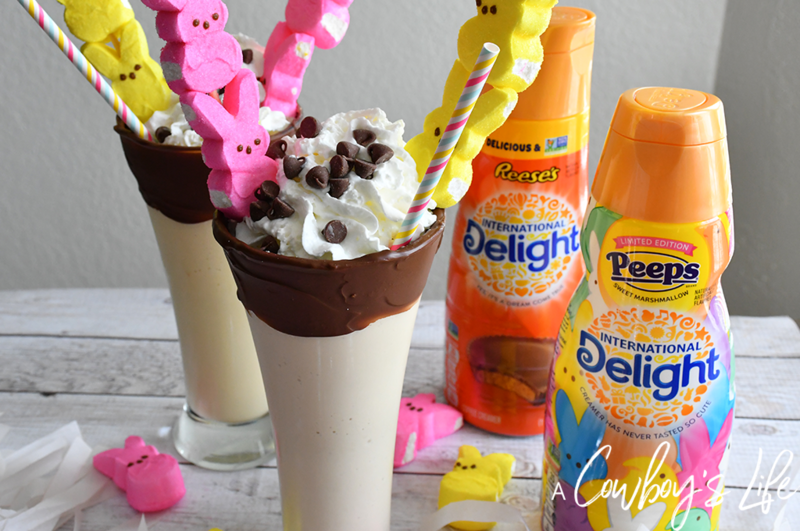 Spring is on its way and sharing a PEEPS® Marshmallow Freakshake with your loved ones is a great way to welcome in the new season. Or skip the sharing part and enjoy one all by yourself while binge watching Netflix. No judgment here! Gone are the days of a basic vanilla shake. It’s time to get creative and add a bit of character to these timeless desserts. It’s time to treat yourself this spring with this irresistible, fun and indulgent shake. 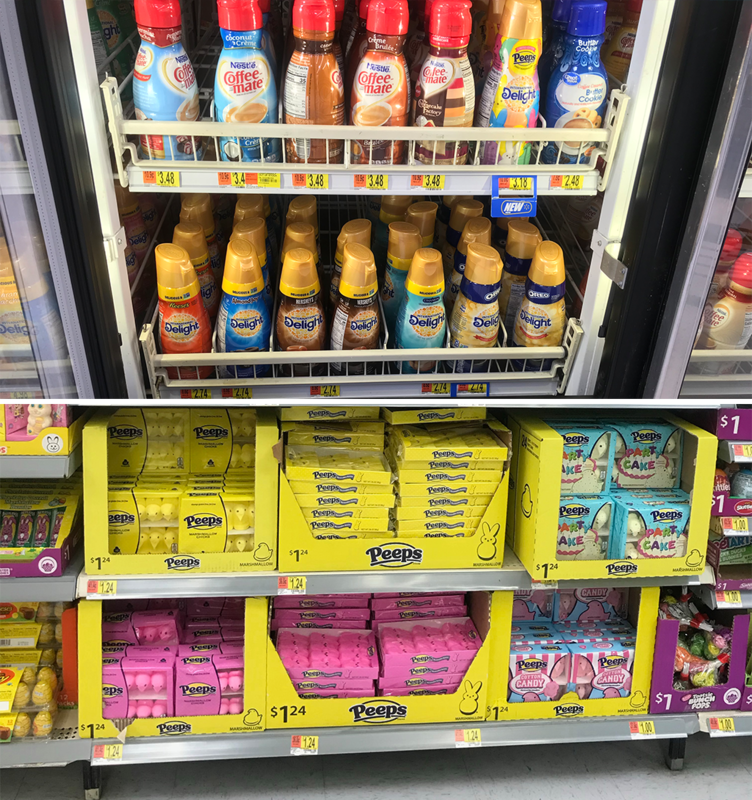 The key to making the best freakshake is using unique ingredients such as International Delight® Coffee Creamer and PEEPS® candy! 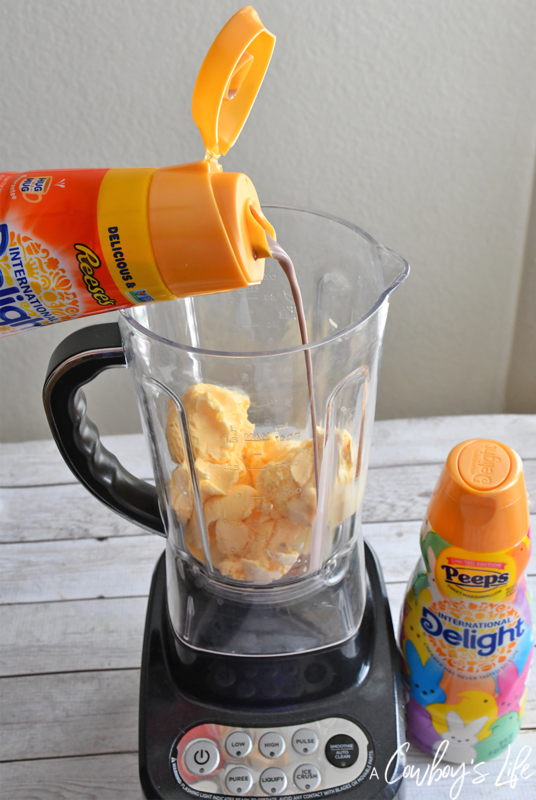 Want to try the International Delight® PEEPS® Sweet Marshmallow Coffee Creamer? Hover over the photo to click through and purchase it at Walmart. 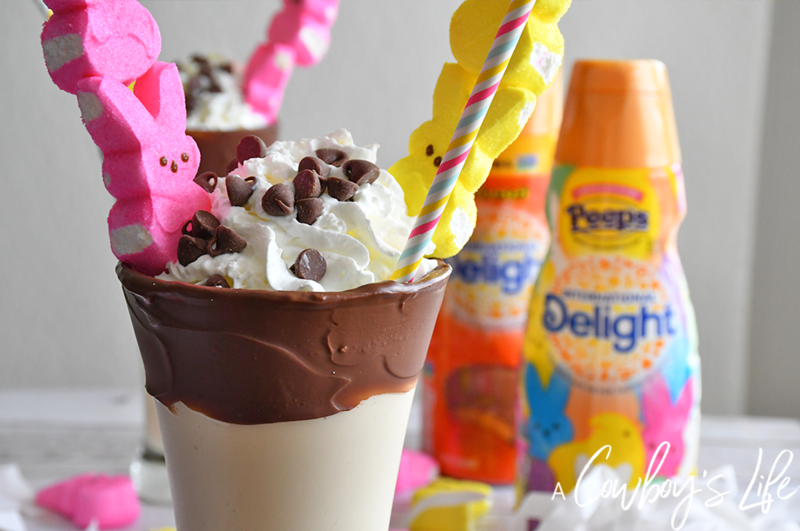 After you taste how great this freakshake is, you’ll be wanting to stock up on PEEPS® candy so you can make this shake year round! Making this awesome shake is actually pretty simple. But first, you need to head to Walmart to pick up all the ingredients. Melt the chocolate in the microwave then dip the rim of the glass in the melted chocolate. Place the glass in the freezer. Add 3 PEEPS® on each skewer and set aside. 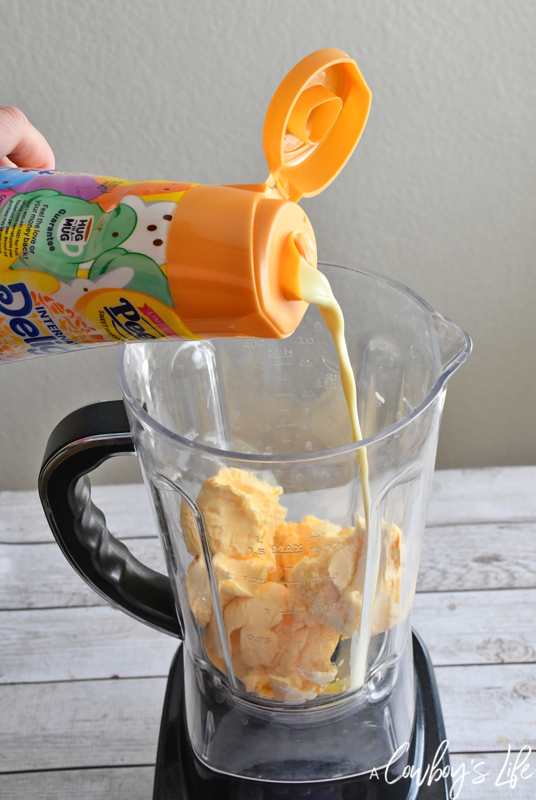 In a blender add vanilla ice cream, chopped PEEPS® candy, International Delight® PEEPS® Sweet Marshmallow Coffee Creamer. Blend until smooth. Remove the glass from the freezer and pour the shake in each glass. Top each glass with whipped cream. Sprinkle on HERSHEY’S milk chocolate chips. 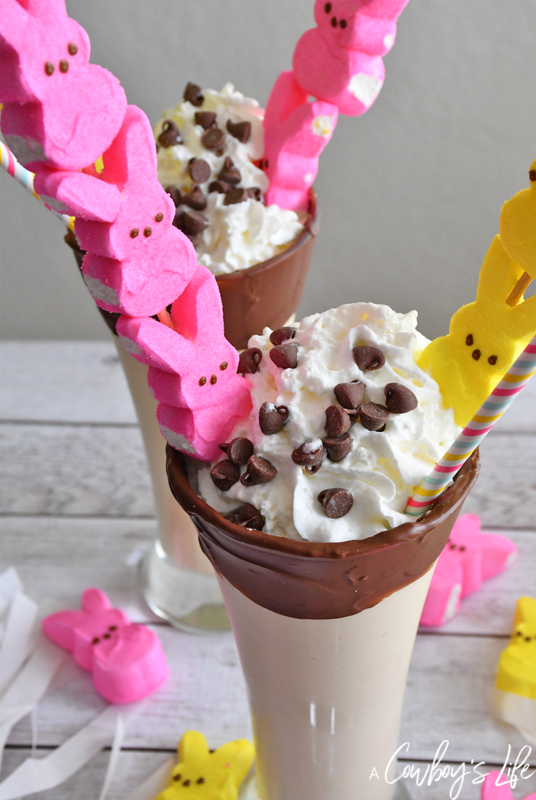 Place skewers of PEEPS® into the shake. Whipping up this dessert using the new and seasonal International Delight Coffee Creamers makes this an extra creamy and delectable freakshake! 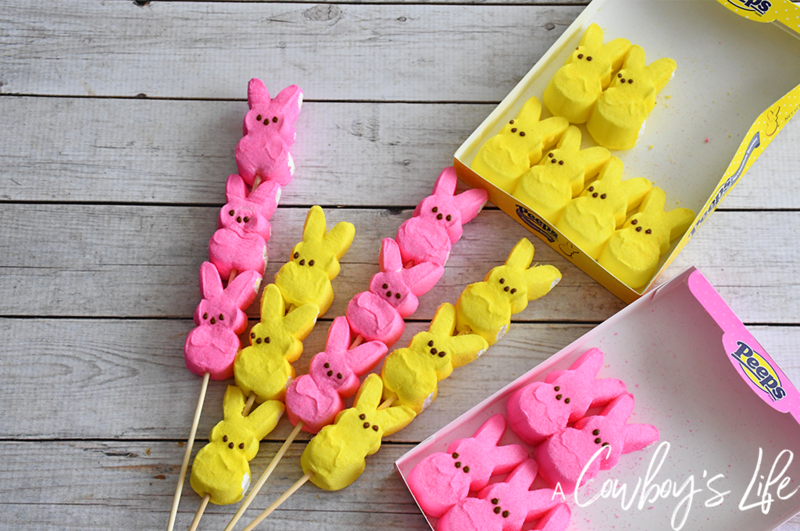 Adding in the bright and festive PEEPS® candy makes it the ultimate spring dessert.